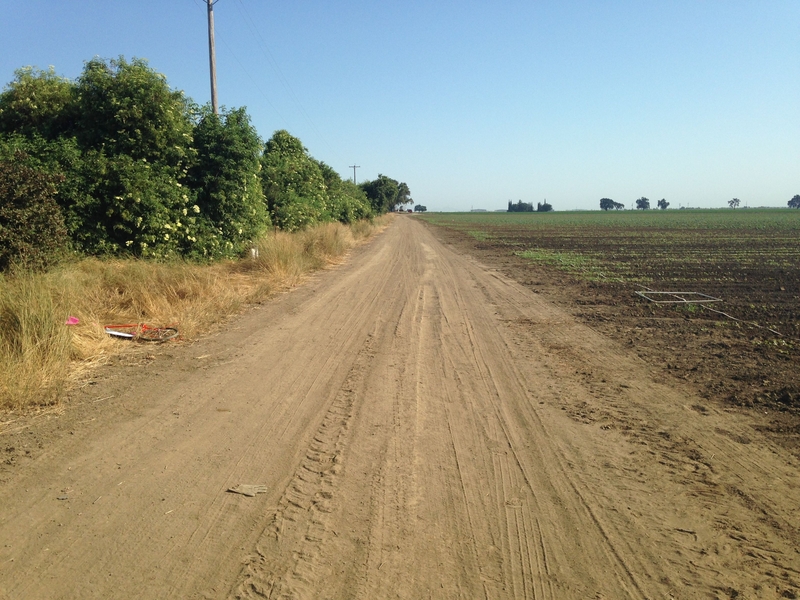 Hedgerow planted in Yolo County. Research has shown that hedgerows of native California flowering shrubs planted along the edge of a crop field helps keep crop pests under control by increasing the activity of natural enemies. UC Agriculture and Natural Resources and UC Berkeley researchers analyzing hedgerows in Yolo County have found that not only are farmers diversifying their land by planting hedgerows, but those hedgerows are attracting natural enemies that provide economic benefits. The two-year study of hedgerows planted adjacent to processing tomatoes showed higher numbers of natural enemies such as lady beetles (aka lady bugs) and fewer crop pests compared with conventionally managed field crops edged with residual weeds. 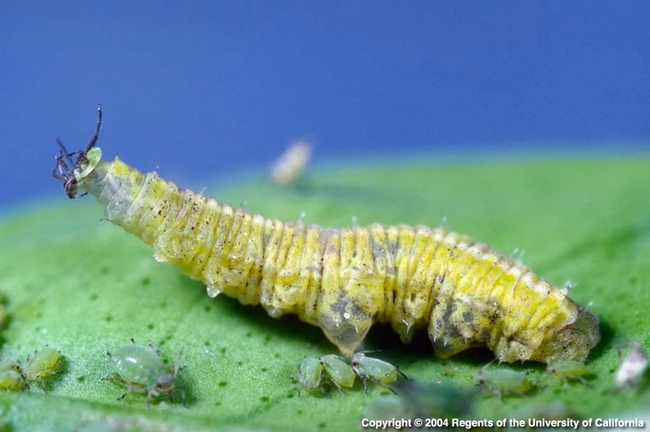 The researchers discovered that the increase in natural enemy activity in the hedgerows extended 600-feet into adjacent tomato crops and resulted in a reduction of aphid pests and an increase in stink bug egg predation by parasitoid wasps. Tomato fields adjacent to hedgerows required fewer pesticide treatments than the tomato fields without hedgerows. The scientists concluded that hedgerow restoration on field edges could enhance pest control, reducing the need for chemical pest control, as reported in the Journal of Agriculture, Ecosystems and the Environment. Syrphid fly adult feeding on pollen and nectar. Plant selection is the key for enhancing beneficial insects on farms, the researchers found. Many natural enemies in the adult stage need nectar and pollen to survive and reproduce. 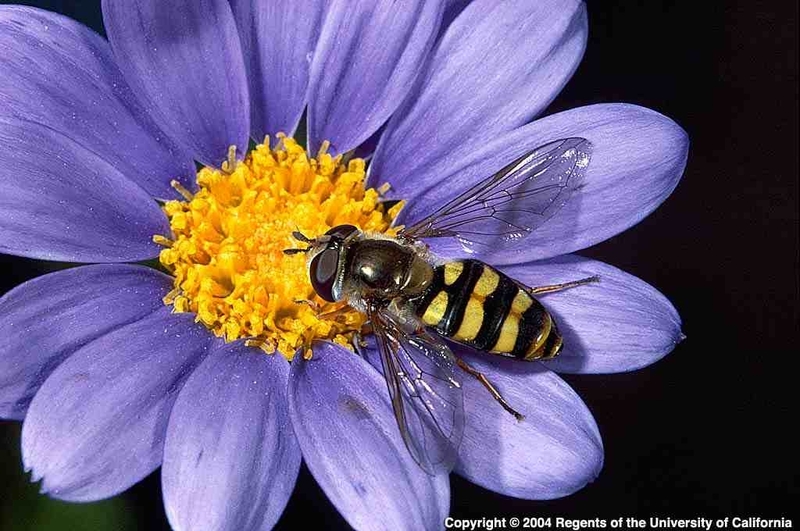 For example, syrphid fly larvae are voracious predators of aphids, but the adult syrphids feed entirely on flowers. Therefore, a hedgerow planted on a field edge needs to include a seasonal range of flowering plants so floral resources are always or usually available for natural enemies. Drought-tolerant plants that thrive in hedgerows include California buckwheat, coffeeberry, toyon, redbud, coyote brush, elderberry, California lilac, and purple needlegrass. Additional research has shown that hedgerows are important for pollinators, such as native wild bees, that feed on flowers and nest in the ground or holes in plant stems. More wild bees are present on farms with hedgerows than with conventionally farmed field edges. Native bees are important in crop pollination, especially with the decline of the honey bee population. Syrphid fly larva feeding on aphids. Hedgerows also provide wildlife habitat, especially for migratory songbirds that call the Central Valley their home. They do not seem to attract flocking birds, such as starlings, as these bird pests cue in on farm fields regardless of field-edge habitat. Likewise, rodents use landscapes on a much larger scale and appear to gravitate toward crops regardless of field-edge habitat. Weeds show up regardless of field-edge habitat, and need to be controlled. Hedgerows cost about $4 per linear foot to plant and manage for the first three years for a single row of shrubs and native grasses about fifteen feet wide. The Natural Resources Conservation Service (NRCS) offers cost-share programs through USDA's Environmental Quality Incentives Program (EQIP) that covers about 50 percent of the establishment costs. However, due to less pesticide use, a hedgerow can pay off in about 15 years. Add pollination services in areas without an adequate number of honey bees for crop pollination, and that time can be significantly reduced. 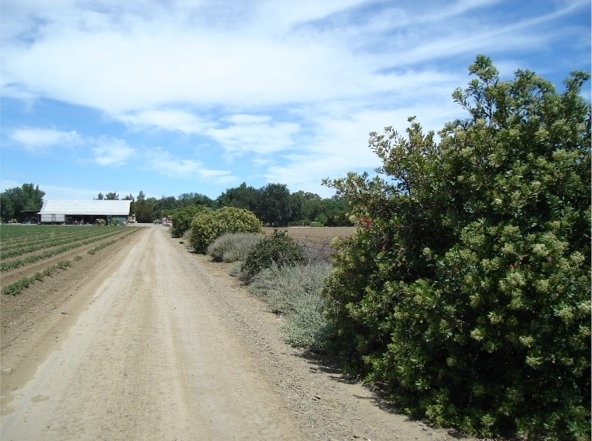 With a grant from the California Department of Pesticide Regulation, the Yolo County Cooperative Extension Service seeks to spread the word about the ecosystem service benefits provided by hedgerows planted on farmland. During the past two-years, the researchers hosted workshops in Northern California on the value of hedgerows on farms, reaching hundreds of farmers and landowners. The researchers also offer advice on hedgerow plantings, including plant selection and how to establish and manage hedgerows. Planting hedgerows does not take land out of production; it's using areas that cannot be farmed, such as along fence lines or terraces from land leveling, and providing economic benefits. 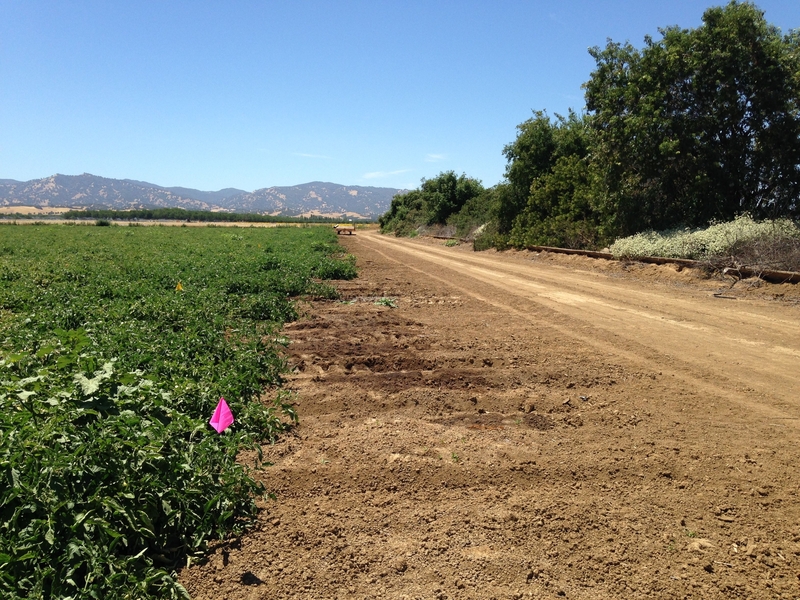 More information on hedgerows is available at http://ceyolo.ucanr.edu/Custom_Program/Hedgerows/. The principal investigator is Rachael Long, Yolo County farm advisor.